I recently finished the book The 7 Habits of Highly Effective People , by Stephen R. Covey. If you’re interested in improving yourself and didn’t get to read this classic yet, I strongly recommend it. I didn’t find everything useful in the book, but I love the framework it provides. It’s both conceptually meaningful and practically actionable. It has helped me improve several aspects of my life. I won’t spoil you the whole book and tell you what the 7 Habits are, but I want to share with you one idea I loved in the first chapter. One day, naked and alone in a small room, he began to become aware of what he later called “the last of the human freedoms” — the freedom his Nazi captors could not take away. 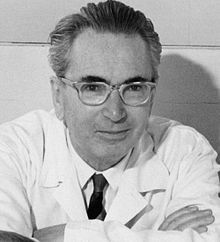 They could control his entire environment, they could do what they wanted to his body, but Viktor Frankl himself was a self-aware being who could look as an observer at his very involvement. His basic identity was intact. He could decide within himself how all of this was going to affect him. Between what happened to him, or the stimulus, and his response to it, was his freedom or power to choose that response. Everything can be taken from a man but one thing: the last of the human freedoms-to choose one’s attitude in any given set of circumstances, to choose one’s own way.